There’s a furniture shop on the high street where I grew up that I’m not sure is a furniture shop at all. In all the years of me passing it, I had not once seen anyone go into it. Or come out of it. Or actually inside it. 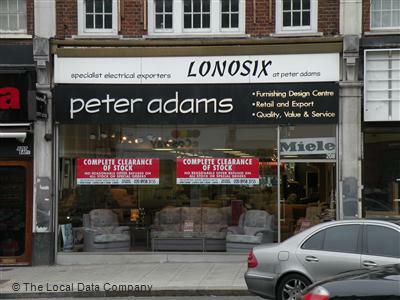 Which makes me wonder – who placed the seventies sofa that nobody bought in the shop window, in the first place? I’m sure many people know a shop like this. A forgotten space full of forgotten items for sale, ran by forgotten members of society, if at all. It’s sad, in a way, though I’m not sure in what way. The fact no one cares for the discarded items? The fact the space could be used for something far more useful, such as a library or a Pret a Manger? Only kidding. We have far too many libraries. Can I stop you there, sir. What have you bought, a coat? It looks like you’ve already got a coat – and a jumper! It’s all to do with the Dystopic, you know, err, the Dystopia… the corporations making things up so we buy more! What’s that? It’s a bit like me, I just make everything up? And so this public pantomime went on. No one made a serious fuss. No one called for his extraction from the railing to be forced somewhere far more hazardous, like the nearest Starbucks. Is he still there? Is everyone in Soho now walking around naked, freezing but euphoric they’ve beaten ‘The Dystopic’? Probably not. I’d take a wild guess and say it will take more than one man and his megaphone to crack down on consumerism. Even if we do only really need one coat. Still, the man had a point – turns out Christmas jumpers, once knitted by your aunt, are a stressful modern minefield. Maybe a vintage recliner could come in handy, after all. Peter Adams, whoever you are – I’m on my way.